As a country, Chile is stable and prosperous. Its terrain is extremely varied consisting of deserts, fjords, mountains, volcanoes, lakes, wilderness, and cultivated wine lands, a land of nature at its best with many National Parks to be enjoyed on a Chile vacation. The capital city, Santiago, is a modern, progressive city brimming with excitement. Nestled in the foothills of the Andes, the city features spectacular views of the mountains as a backdrop. With the country’s abundant diversity of offerings, Chile has something for everyone to enjoy. Are you looking for a vacation surrounded in majestic mountains, lakes, and glaciers? 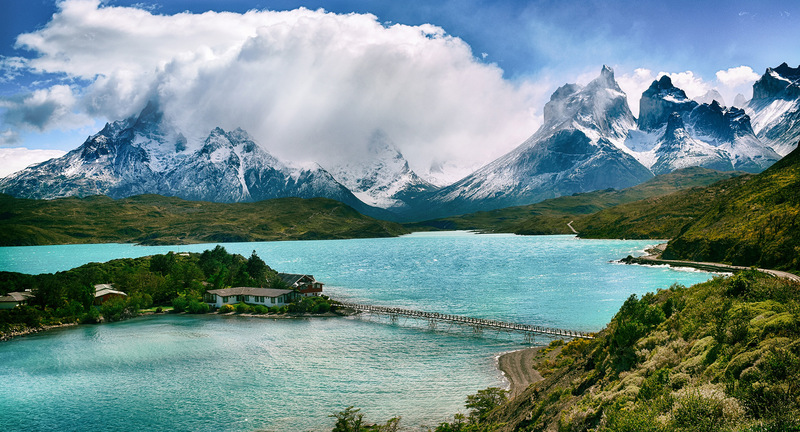 Head to Torres del Paine National Park in Patagonia. Do your travel preferences lean more towards a bustling culturally-rich city? Go to Chile’s capital, Santiago; in the city center, known as El Centro, visitors will find historical buildings and sites such as Plaza de Arts, the Moneda Palace (presidential palace), and the Santa Lucia Hill, an attractive park with fountains and stairways. The beauty of a Chilean vacation is its abundance of options for all vacation preferences. And everywhere you go, you will find plenty of Instagram-able sights and views. It all depends on what you’re going for. Low season: June to August. Best time for ski resorts is June to August. A good time to visit the north. Few services on the Carretera Austral; mountain passes can be blocked by snow. Transportation and accommodations are busy in July. Shoulder: September to November and March to May. Temperature-wise, these are the best times to visit Santiago. Lakes District is pleasant September to November; April brings fall foliage in the south. Wine country has grape harvests and wine festivals in March. High season: December to February. Patagonia is best (and most expensive) December to February. Beaches throng with crowds from late December through January. Traveling from the U.S., you can stay in Chile up to 90 days for tourist or business purposes without a visa, as long as your U.S. passport is valid for at least six months after your planned return to the United States. Also note, when in Chile, always carry your passport with you. For more detailed information on customs and entry/exit formalities, visit Lonely Planet’s Visas and Customs in Chile page. Hotel Magnolia in Santiago is a boutique hotel in a restored 1920s building with marble staircases alongside glass floors and geometric designs. OCIO Territorial Hotel is a tucked-away 15-room retreat with dramatic views over the Castro fjord. As with any vacation, don't try to pack too much in. Especially with the diversity offered by the various regions of Chile, it is easy to get overwhelmed with options. Just relax and remember that this is a vacation you’re planning. A vacation is not meant to be all about checking sights off a list or dashing from place to place to fit in as much as possible. It's about enjoying yourself. So do exactly that: take your time and enjoy yourself. “Those who hurry waste their time” is the Patagonian saying that would serve well as a traveler's mantra.